10. You cannot impersonate a character. Everyone has a favorite Disney character (or two or three!). In the parks, young children are dressed as their favorites—little girls in princess gowns and little boys with eye patches, pirates’ swords and painted faces. One of the latest trends for adult women who want to pay homage to their favorite Disney character is called bounding—they put together pieces from their own wardrobes that resemble the clothing worn by their favorite Disney character. But outside of children dressing up and women bounding, Guests will need to find different ways to show love for their favorite villain, prince or princess. That’s because purposely impersonating a character will get you thrown out of the parks. 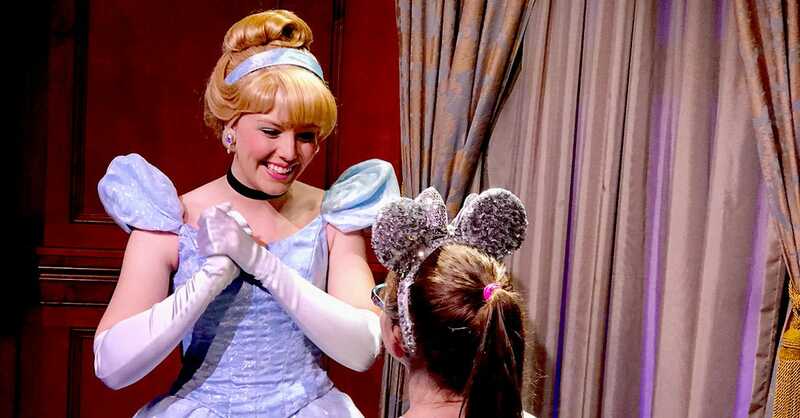 Impersonating a character involves dressing in a way that leads other Guests to believe you are a Cast Member (who works for Disney World) dressed in a character’s costume. Guests ages 14 and up are not permitted to wear costuming in the parks, with the exception of Mickey’s Not So Scary Halloween Party. This rule ensures that there is no confusion for Guests when it comes to the characters—confusion over which characters are employed by Disney, and which ones are park Guests masquerading as characters. Though it’s usually a harmless endeavor and not an intent to impede park operations, if you are 14 or older and wear a costume into a park, you will be asked to remove the costume and dress in regular clothing. If you refuse to do so, you will be escorted from the park.